Ghana is often described as an African “model democracy” and is said to be a “gateway to West African markets”. H.E. Akua Sena Dansua, Ghana`s Ambassador to Germany, talks about her country`s advantages as a business hub and what Ghana`s Government has to offer foreign investors. According to her, multiple factors account for the unwillingness of German medium-sized companies to invest in Sub-Saharan Africa. 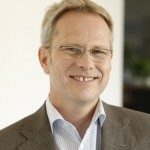 blog:subsahara-afrika: Your Excellency, the Franfurter Allgemeine Zeitung headlined on April 26 of this year: “Africa offers entrepreneurs undreamed-of possibilities”. According to the newspaper, China, Brazil, India, Turkey, and also Germany are already active in the “troubled continent”, but German businesses could do more. How do you comment on these statements? H.E. Ambassador Akua Sena Dansua: Africa is not a “troubled continent”, as alluded to by the Franfurter Allgemeine Zeitung. Africa is a continent of 54 Nations and even though there may be pockets of conflict in a few of the countries, this doesn’t make the entire continent “troubled”. A substantial number of the 54 African countries are peaceful and stable and majority of them are doing fine, generally. Compared to Europe, the current crisis in Ukraine or instability in the North Caucasus region does not make Europe a “troubled continent”. The truth is that Africa is a continent of opportunities and has been on the rise since the turn of the new millennium. African countries have witnessed some of the highest growth rates in the world today, higher than the average growth rate of the world economy. Indeed, some African countries like Sierra Leone, Ivory Coast, Ethiopia and Mozambique are even recording growth rates of over 6.1%, which is the average growth rate for developing countries. Through steady and consistent reforms in most of the sectors, especially the entrenchment of democracy and good governance, respect for fundamental human rights and freedoms, the development and expansion of infrastructure, the revision of investment laws and regulations, and the establishment of more effective institutions, Africa is currently becoming the preferred destination for doing business. blog:subsahara-afrika: Will you say that Africa is becoming a preferred investment destination for some countries more than others? Ambassador Dansua: Countries like China, Brazil, India and Turkey are taking advantage of the transformation taking place on the continent and increasing their investment portfolio. Africa welcomes investors from all over the world because the opportunities on the continent are huge and the returns enormous. But some investors in Western Europe appear to adopt a ‘wait-and-see’ attitude. They are too risk averse to want to try new markets of investment. For some, it is due to lack of knowledge about Africa and the potentials it holds. For others, it is perhaps the negative images that the international media continue to portray of Africa that is keeping them back. Whatever the case might be, I think that some of these countries are losing out on some of the best investment opportunities in the world today. blog:subsahara-afrika: Are you referring to countries like Germany? Ambassador Dansua: Some German companies are already making it big in Africa, but most of them are the multinationals. There are few German companies that are also beginning to focus attention on the continent, but generally at a slow pace, based on their negative perception about the continent. Platforms such as yours give us an opportunity to provide accurate information about the existing opportunities in Africa. Investors must develop a greater appetite for risk-taking because business is all about taking risk, and the higher the risk, the better the returns. blog:subsahara-afrika: Since taking office in Germany in 2014, you have often interacted with representatives from German businesses. Why exactly are many medium-sized companies hesitant to invest in Sub-Saharan African markets? Ambassador Dansua: From my interactions with German businesses and the German Chambers of Commerce, I think that there are multiple factors that account for the unwillingness of German medium-sized companies to invest in Sub-Saharan Africa. First of all, most of these companies are family-owned business, which means that their managers are more comfortable staying in their comfort zones here in Europe in the hope of handing them over, intact, to generations after them. This leaves very little room for risk-taking. Also, as I have already indicated, sections of the international media are not helping Africa with their unbalanced and negative stories, some of which tend to portray Africa as one monolithic entity that is ridden with crisis, rather than as a continent of 54 sovereign countries with different levels of development, different development agendas, and different resources, potentials and challenges. But whilst at this, one also has to recognize that German medium-sized businesses, in particular, do not have the same capacity as their multinational counterparts to compete favourably abroad. German multinationals like Siemens, Deutsche Telekom, KfW Bankengruppe and Bayer are able to move into completely new markets because they have the resources, connections and the necessary Government guarantees to do so. The medium-sized companies do not enjoy these opportunities. blog:subsahara-afrika: The German Federal Government has extended the so-called “Hermes Bürgschaften”, the official export credit insurance. Ambassador Dansua: I was happy that in December 2014, the Federal Minister for Economic Affairs and Energy decided to extend the Hermes Cover to selected Sub-Saharan African countries, including my own country, Ghana, Ethiopia, Mozambique, Nigeria, Kenya and Tanzania. It is a recognition of how far these countries have come in their reform agenda and the confidence they exude in the eyes of the Federal Government. What that also means is that German small and medium-sized exporters, in particular, can now fulfill orders from these countries with guarantees from the Hermes insurance. This development should pave the way for most of them for whom risk was the main obstacle, to do some good business in Africa. blog:subsahara-afrika: Let`s talk about your home country, Ghana. Apart from a stable political environment, what else has Ghana to offer foreign investors? Ambassador Dansua: As an integral part of Government‘s “Better Ghana Agenda“, Ghana’s President, H.E. John Dramani Mahama, heads an administration that continues to place priority on attracting direct foreign investment into the country. Our goal is to make Ghana the preferred destination for doing business, not only in West Africa, but on the continent. When it comes to the state of infrastructural development, and the availability of skilled and competent human resources, you may wish to note that Ghana is relatively well ahead of its peers. The same can be said of Ghana’s legal and regulatory regimes as well as institutions such as the judiciary, trade unions, the media and other civil society organisations that guide, promote and protect private sector investment in the country. Ghana is also an English-speaking country, so German investors, most of whom already speak English, should not have a difficulty settling and doing their businesses in the country. These are some of the incentives and guarantees that Ghana offers to foreign investors. blog:subsahara-afrika: How does the Government implement Ghana`s strategy of becoming a preferred investment destination? Ambassador Dansua: The Ghana Investment Promotion Centre, GIPC, exists as the main national agency for coordinating and facilitating the country’s investment drive. There is a mix of options available to foreign investors who wish to come to Ghana. They can establish their own businesses from the scratch, or buy shares on the stock exchange, partner with actors in the local private sector, or even partner Government in Public Private Partnerships, PPPs. To encourage PPPs in the country, particularly in the area of infrastructure development, the Government of Ghana in 2011, approved the National Policy on Public Private Partnership. Among other things, the policy is aimed at leveraging public assets and funds with private sector resources, from local and international markets, for investment in infrastructure and services. Government has also established the Public Investment Division in the Ministry of Finance to develop, oversee and support all public-private programmes and transactions. The President has even gone a step further to assign a Minister of State with responsibility for Public Private Partnership. So the road is clear for investors who are interested in this option of PPP. blog:subsahara-afrika: Many foreign companies say that with the introduction of the Ghana Investment Promotion Centre Act in 2013, the investment criteria have been tightened. Amongst others, the required minimum sum of foreign investment has been increased. How do you respond to this criticism? Ambassador Dansua: It is important to realize that the Ghana Investment Promotion Centre Act 2013, Act 865, was a revised Act meant to address some anomalies that were detected in the country’s investment laws. The main objective was to rectify the abuse of sectors in Ghana’s economy that were reserved for Ghanaians. We were confronted with a unique situation where foreign investors, who were expected to come into the country with liquidity, technology, skills and other resources, were suddenly taking advantage of the lapses in the system to engage in retail trade which had been reserved for Ghanaians as a means of protecting their basic livelihoods. The Government of Ghana is committed to the participation of Ghanaians in the growth of the economy. Therefore, it had to act to safeguard their interest. I believe that any Government that is confronted with this kind of situation will act to protect the interest of its citizens. A foreign investor is expected to bring something new into the sector in which he or she is investing. The amended Act, therefore, is aimed at encouraging foreign investors to engage in large scale value added businesses. Apart from that, the new Act also makes it mandatory for all enterprises to register with the GIPC so that they can be better protected in the event of any crisis. It enables the GIPC to increase its efficiency in the coordination of investment as well as the removal of the inherent bottlenecks that existed under the old regime. The law also ropes in the mining and petroleum sectors which were hitherto, not captured in the investment act. blog:subsahara-afrika: Your country is also often described as the „gateway to West African markets“, which refers to Ghana’s membership of the Economic Community of West African States (ECOWAS). How does Ghana’s membership of ECOWAS influence investment flow into the country? Ambassador Dansua: For foreign investors who hope to use Ghana as the base to access the larger ECOWAS market of 300 million, the Ghana Free Zones, GFZ, policy is designed essentially to meet their needs. The GFZ concept is aimed at promoting the processing and manufacture of goods, targeted mainly at foreign markets, through the establishment of Export Processing Zones, EPZ. I should like to point out that Ghana’s location, in the centre of the world and also right at the centre of the West African sub-Region, makes it easier for foreign investors to set up their business hubs and to reach the neigbouring markets. Note also that the Act which establishes the GFZ provides various incentives for foreign investors who wish to take advantage of the country’s unique business environment to set up their manufacturing hubs. One of these incentives is exemption from the payment of income tax on profits for the first 10 years from the date of commencement of operations. After the 10th year, the tax rate does not exceed 8 per cent. So we continue to encourage investors, particularly German Small and Medium Scale Enterprises, to consider Ghana as their first investment destination. blog:subsahara-afrika: Many investors see Nigeria as the better hub for business and prefer to serve Ghana from there. Is this a true reflection of investment inflows into the West African Sub-Region? Ambassador Dansua: I don’t think that most foreign investors are setting up bases in Nigeria at the expense of Ghana. Investors coming into Africa have different priorities and different drive factors. For some of them, it is first and foremost about market size; all other considerations are secondary. For others, it is about the security of their investment. Yet still, some others consider the ease of doing business as the priority factor in choosing an investment destination. So the companies are driven by different motives and considerations. Certainly, Nigeria has the numbers and will, therefore, be attractive to investors for which the size of the market is the first priority. But Ghana also attracts its share of investors, especially those that are concerned about the security of their investment. Note that, generally, there has been huge inflows of FDI into Africa in recent years. In Ghana, the driving force has largely been the discovery of oil and gas resources. Indeed Ghana, Nigeria, Kenya and South Africa are some of the African countries that have attracted huge FDI in-flows in recent times. So at the end of the day, it is really not a question of which country attracts more FDI than the other. This is because where ever a foreign investor chooses to locate, in whether Ghana or Nigeria, he will still be able to reach the larger ECOWAS market of over 300 million people, if that is his objective. This is because of the existence of the ECOWAS Protocol on the Free Movement of Goods, Persons and Services. It is an important incentive which Ghana, like all the other ECOWAS Members States, offers to foreign investors. It is therefore up to them to do their homework and decide where they want to set up their business hubs, based on their investment priorities and considerations. blog:subsahara-afrika: What support can your Embassy in Berlin give to German companies that are interested in doing business in Ghana? Ambassador Dansua: The Ghana Embassy in Berlin is always willing to assist German companies that wish to invest in Ghana. We do this in many ways – from making accurate and relevant information on investment opportunities available to them, as we are doing on this platform, facilitating their travel documents, through to linking them up with the appropriate agencies in Ghana, where necessary. This is part of our mandate here in Germany. Since my assumption of office as Ambassador, I have met a number of Chambers of Commerce in the Bundesländer, toured and held meetings with various companies and other German private sector actors. My message to all of them has been the same: they should come to us at the Embassy, and we will facilitate whatever investments they want to undertake in Ghana. Above all, we organized a successful Ghana Business and Investment Forum, addressed by our President, H.E. John Dramani Mahama, during his visit to Germany in January this year. At that Forum, all opportunities for investment in Ghana were laid bare to major German Business Executives. So let me conclude by once again inviting German businesses and investors to take advantage of the numerous opportunities that I have enumerated above to invest in Ghana and, particularly, to develop business partnerships with Ghanaian counterparts. They can be assured that their investments in Ghana will be safeguarded under the country’s robust investment laws. Thank you once again for this opportunity. blog:subsahara-afrika: Your Excellency, we thank you very much for your thoughts. H.E. 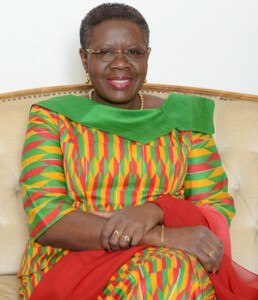 Akua Sena Dansua, Ghana`s Ambassador to Germany, is a trained journalist and, amongst others, held several minister posts in Ghana`s Government. E-Mail: ambassador@ghanaemberlin.de, chancery@ghanaemberlin.de; Internet: www.ghanaemberlin.de. Dieser Eintrag wurde veröffentlicht in Allgemeines, Experten, Interview, Märkte und verschlagwortet mit Chancen, Ghana, Kontakte von Stefan Enders. Permanenter Link zum Eintrag. Hans-Willi Müller, imat-uve GmbH: "Fachkräftesuche ist eine Herausforderung"